Outstanding in so many ways it's difficult to capture in a short review - the Dahon Jack D7 is an exceptional 26" folding bike that outperforms all others in its class! 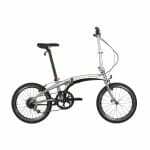 The Dahon Jack D7 folding bike is a city riding and touring model in the 26-inch wheel category – produced by Dahon, one of the world’s leading makers of folding bikes. 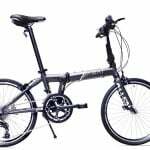 They offer just about every kind of folding bike you can think of; with so many different designs and variations, that it is hard to keep track of the possibilities. 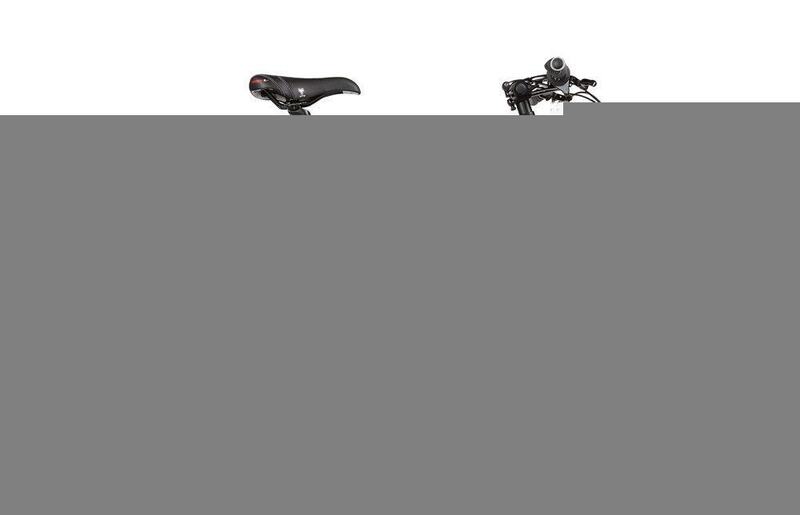 Many of their European models ship with slightly different configurations, possibly because most models available in Europe come from Bulgaria, where many of Dahon’s bikes sold in Europe are are made or assembled. 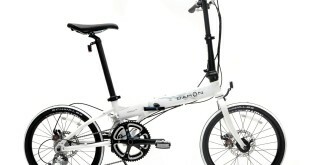 Dahon’s main factory is in Taiwan. The Dahon Jack D7 is perfection, of all the bikes out there with 26 inch wheels, none come close to competing with the Jack D7. 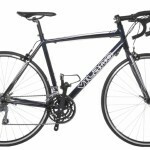 A gorgeous bike that performs well on and off the road! 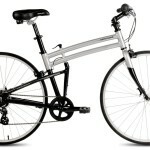 This Dahon Jack D7 model is light and sporty, folding in half for easy carrying and transportation. The Jack folds to 13 x 37 x 31 inches taking less than 10 seconds, pretty handy – no struggle or head scratching required! 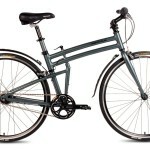 it is also worth noting that if you simply need to make the bike skinnier, so that it will take less space parked flat against the wall of a hallway for example, these bikes are equipped with a quick release allowing the handle bars to be turned straight with the frame, which makes a great deal of difference in terms of footprint. The pedals also fold in. Rather than being a folding bike suitable for commuting on public transport, this full size touring bike is intended for those that want to take their bike with them on vacation or weekend trips. It fits easily into most mid-sized car trucks/boots when folded and it might be possible to get two Jacks into most cars, along with other belongings. 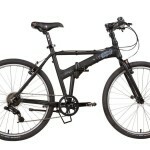 These bikes only weigh a little over 14 kg, making them easy to lift in and out of place. 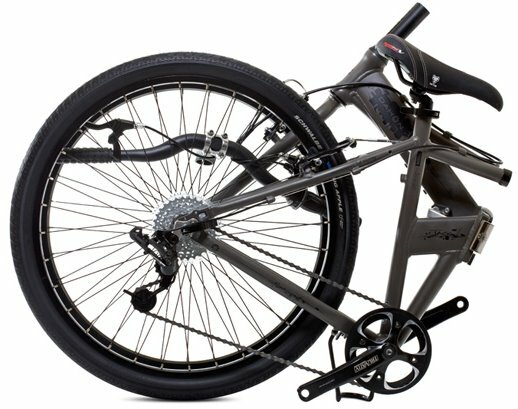 Apparently the sturdy, aluminum frame of the Dahon Jack D7 was designed/inspired by Joe Murray, the well known pioneer mountain-biker, turned designer. Also, this model comes in different sizes; small and large – to accommodate riders over or under 5’10’’ in height. Riding a bike that is either too big or too small persistently is not good for the body, so it is always advisable to try the fit with a quick ride before purchase. 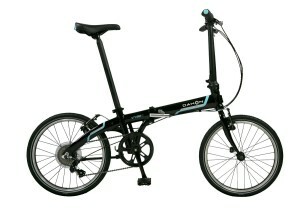 It’s great that Dahon offers size choices for this attractive machine. 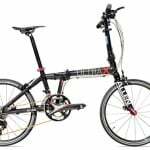 Although all their best folding bikes and folding mountain bikes are designed to accommodate riders of a wide range of heights, which is a nice feature.